Want to See Monschau? PIN IT FOR LATER!! 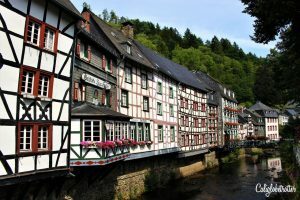 If you were looking for some of the most STUPID PRETTY towns in Europe, then you hit the jack pot with Monschau! It honest to god doesn’t get more picturesque than this! 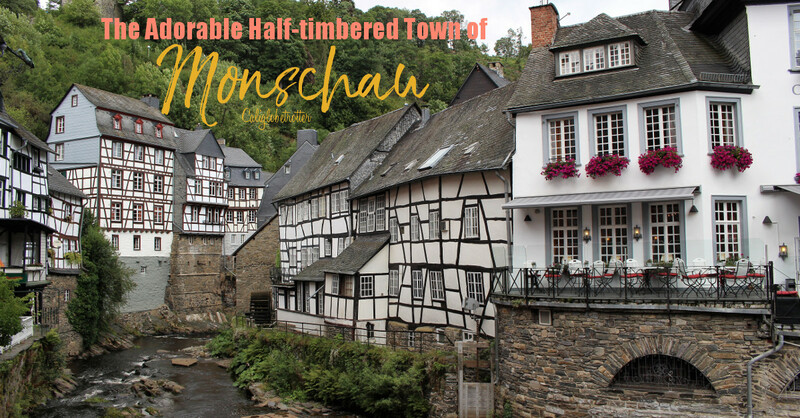 There is no easy way of reaching Monschau as there is no train that weaves its way through the rolling hills in which this town is nestled away in. 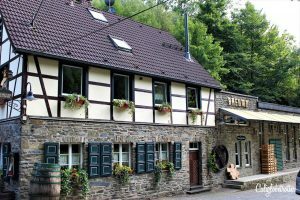 It makes a perfect afternoon day trip from Aachen, just a 30 minute drive away as well as just an easy day trip from Belgium as it’s right over the border. The best way to reach the town is if you have your own wheels. Upon winding your way down the hill there are 8 parking garages to pick from as the town is closed to vehicle traffic. Depending on where you parked, it takes just a 5-10 minute walk to stroll into the town. Immediately, upon entering the main portion of the town, you will see a small church and a big red building on the left. This is one of the most picturesque parts of the town with a small footbridge covered in flowers leading to the Evangelical Stadtkirche. Here you can have a great view of the Rotes Haus on the left which was the former home of a noble family of entrepreneurs known as Scheibler. Because of the color of the house, it is known as the “Red House” and was once both a residential home and a manufacturing office for cloth. 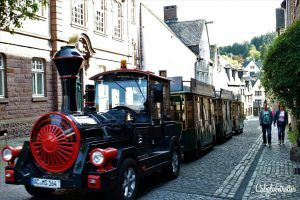 There aren’t many things to do in Monschau, after all it is a small town, but you can easily check out a few of the main sights! The fabric that was produced here was famous throughout Europe, down to the Mediterranean Sea and as far reaching the Near East. Potential clients were presented with a book filled with small clippings of fabric that was produced here. The house is open to the public for 3€ per adult which is only partially open for tourists. Don’t be deceived by the look of a big red house. I was originally not interested in checking out the house, but we thought, well why not. Turns out, it was like stepping back into the late 18th century and the house had some interesting things to look at. 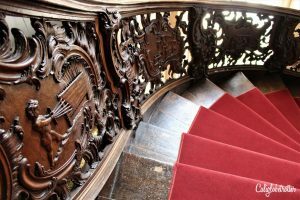 The most important and stunning portion of the house is the massive wooden staircase that winds its way up to the eighth floor with original wooden carvings which were precise guidelines given to the artisans by the owner of the factory, Karl Wilhelm Schiebler to depict the exact steps taken in order to process fine cloth. The most scenic part of the town are the half-timbered houses which line the Rur River. One after the other, each houses only enhances the beauty of the previous house. 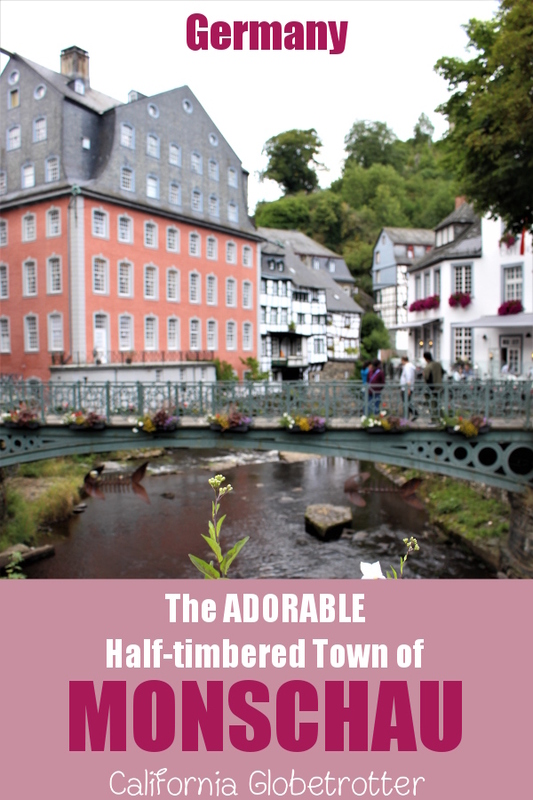 The most adorable part of the town which it is most renowned for is the small water mill which can only be seen from the green bridge in front of the church/Rotes Haus. Near the main market area you’ll find a few cute, cozy shops to peak into, a few restaurants and a few tourists all meandering around. No need to grab a map here as you’re not likely to get lost, just lost in the total adorableness of the town! Sit down, enjoy a beer or have a coffee and cake, whichever pleases you more! After strolling the town for a while, we decided to plop down for a late lunch at one of the many cafes/restaurants which line the Markt (market square). 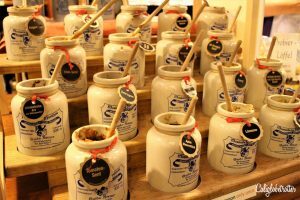 Monschau is well known for their excellent mustard as well as their croissants. So, we saw that many of the restaurants offered a Mustard Creme Schnitzel, not exactly one of your typical German meals to eat in Germany, but with mustard is was quite delicious! Not being a big mustard fan, I was surprised I ordered this schnitzel and even more surprised that I actually enjoyed it. 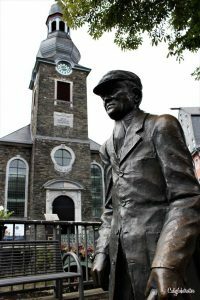 Discovering that the town was famous for its mustard, it came as no shock that there was a Historic Mustard Mill, just about a 20 minute walk up a slowly inclining hill from the town. 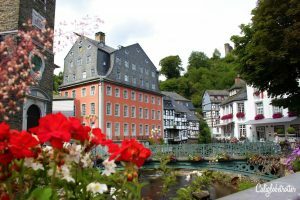 It’s one of the last historic mustard mills in Germany, with another great one in Cochem! The weather was rather perfect, so we decided to stroll up there. At the historic mustard mill we were able to sample some of the interesting and unique flavors of mustard that are produced here such as a Garlic Mustard, English Curry Mustard, Orange Mustard and even a Tomato Mustard! While I found them all very interesting, I didn’t walk away with any in my basket. As we were walking back into town, we discovered that there was both a small touristy train to take you to the Mustard Mill (which you can pick up from the main market) as well as a small castle perched upon a hill overlooking the town. We debated whether we had enough energy to hike up there only to decide we didn’t. Turns out this castle is partially in ruins and is also open as a Jugendherberge (Youth Hostel). 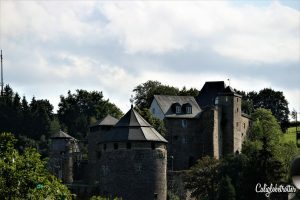 Castle Monschau has watched over the town since the 13th century and has been a youth hostel since the First World War, clearly one of the best places to stay in Monschau! Overall, I would have to say that Monschau definitely did not disappoint and was definitely one of the most quintessentially picturesque German towns I have ever visited and definitely one of the top places to visit in Germany! There were even a few Christmas shops throughout the town which teased me with the thought of going back just for the Christmas market season. The best thing was that with summer winding down, the town wasn’t over bombarded with tourists and at times it felt like we had the entire town to ourselves! During our visit, we stayed at Art Hotel Aachen, just a 30 minutes drive from Monschau as they provided parking. The hotel was incredibly comfortable and aesthetically pleasing. 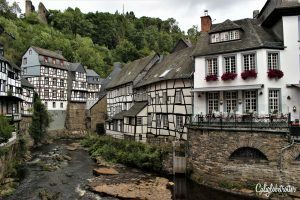 However, if you’re further away, both Aachen and Monschau also makes for a great day trips from Frankfurt! Zaanse Schans: Windmills, Clogs & Cheese! It’s very picturesque…just the kind of cities I like! And I guess it will be wonderful come Christmas! This towns should be Germany’s poster child. It fits exactly the image a lot of people have of the country. Very beautiful! What a charming town!! I love your photos and hope to see that in person someday. The mustard creme schnitzel has me drooling as well! Thank you for the virtual tour and introducing us to Monschau. Cute pictures, too bad there is no train, are there any bus options that go there? I much prefer to use public transit when I travel. I know you didn’t like Aachen so much, but this town is amazing!! Sooo adorable indeed. Europe has the best little towns/villages. Too bad about the train, although maybe this helps keep the town so cute! Oh my gosh – as if my To Do list of adorable European towns to visit wasn’t long enough! But this one goes right to the top – it is just SO charming! Thanks for the introduction. Can’t wait to meet Monschau in person! 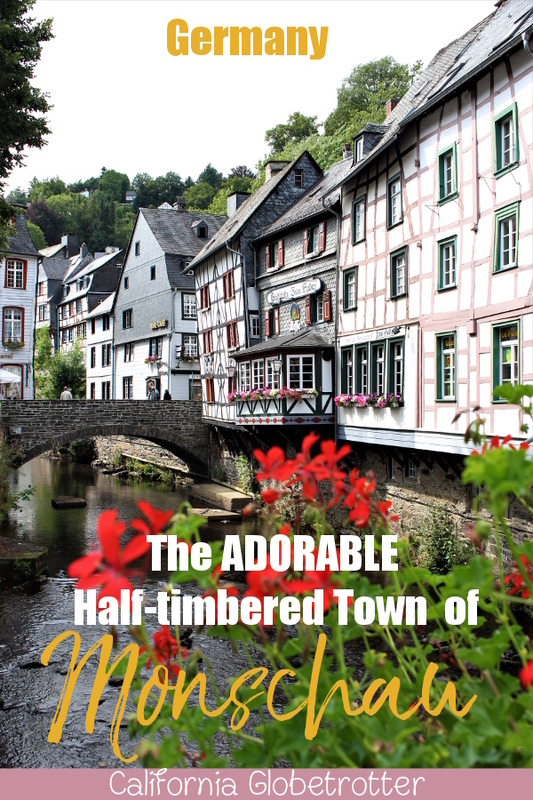 I can not believe how many of these lovely little towns there are in Germany. It makes me sad that I won’t have time to see them all when I visit next month. But thank you for sharing this beautiful place. Beautiful, picturesque town. Lovely picture postcard kind captures of the town. Your bucket list! Mine is also constantly getting longer and longer! Mustard Cream Schnitzel? That’s a new one for me, but it certainly looks delicious! And Monschau is picture perfect. It was definitely a new one for me too, Jim! But it was delicious and we talk about trying to make it ourselves at home one day! Visiting again from #WanderfulWednesday. 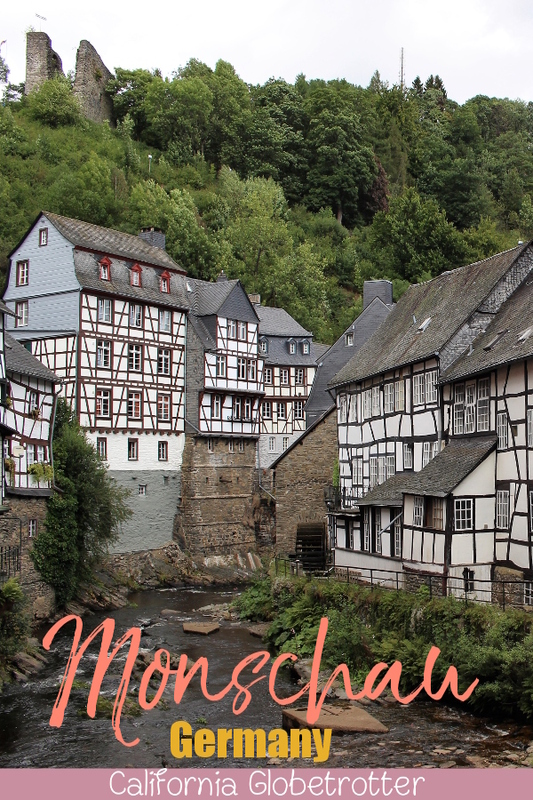 So many good reasons to visit Monschau. Oh wow, how beautiful! I would have been so so snap happy wandering around as this just looks the cutest! Ohhh I have many many more pictures because it was just so beautiful! So glad you enjoyed it! I really hope you get to see it one day! I love little towns like this too more than I’ll ever love big cities like Munich or Berlin. I’ve lived quite near the Eiffel during undergrad studies, in Siegen. 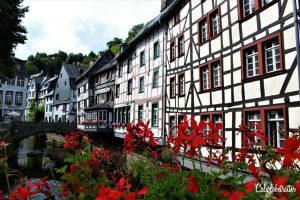 The architecture there was exactly like in Monschau – it’s so pretty, right?! What a beautiful town! How can these places exist and not be swamped by tourists? Thanks for sharing – on the to do list! What an amazing spot. I was just visiting all the villages on the Rhine, and this isn’t so far away. It’s on my map now, won’t miss it next time! So glad to hear that!! It’s definitely worth a visit! !